News that publisher Debretts is to offer the socially inept life skills for surviving in the modern office had more than a few recalling the famous job interview scene from Trainspotting. How likely the average new hire is going to be able to scrape together £1,000 remains to be seen. From The Guardian. They are not ignoring new technology, and will offer guidance on "netiquette": when to put a smiley face or kisses on an email (never in the workplace) and why you should never text the boss unless they have texted you first. Debrett's developed its programme on "social intelligence" for under-30s after a survey of business leaders threw up some serious issues around young people entering the modern workplace. "Manners, social intelligence, personal presentation and impact can be as important as academic qualifications," says Debrett's. "With so much focus on exam results and the hectic informality of modern family life and technology, social graces can be a casualty." As the book and her columns make clear, open-plan offices, designed in the name of cutting costs and encouraging collaboration, have become dens of intense irritation. Walls and doors can no longer protect workers from unwanted visits, along with various odors, shouts, coughs, sneezes, popping of gum, belches and spitting. It’s also clear that many employees are uncertain where their professional life ends and their personal life begins — a confusion abetted by technology that enables them to take their work wherever they go, and to conduct personal business while at work. In an interview, Ms. Martin deplored the “pseudosocial events” that many businesses arrange in the name of teamwork. You should be collegial with co-workers, “but they’re not friends,” she said. If you genuinely become friends with someone in the office, by all means spend time with them, she said. But too many managers are dragging entire groups to retreats, dinners and after-work drinks, and to events where some people mistakenly think they should be able to behave just as they would at a normal party, she said. Ms. Martin suggests that workers who dread attending social events try to bow out by saying that they have work to do. In my experience no belching and spitting but lots and lots of coughing fits. Priceless. ALPSP has released a report on academic journal publishers' policies and practices in online publishing. This international survey, the fourth in this research series from ALPSP, was undertaken to establish current scholarly publishing practices and assess changes in practice and policy across the industry. More than 300 publishers took part, including more than 180 small publishers (ie 1 - 10 titles). 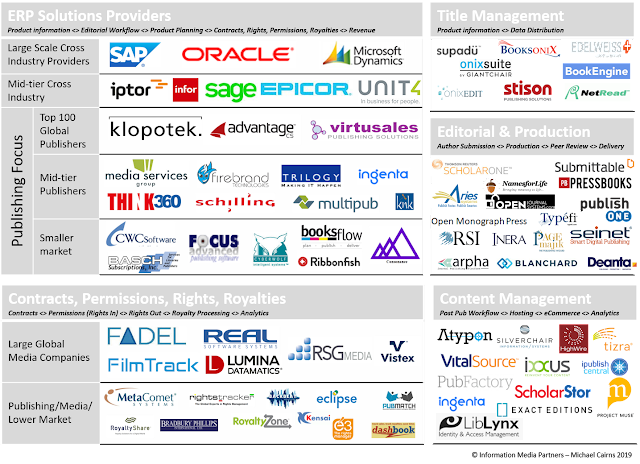 For the first time, the ALPSP survey included societies who have outsourced their publications to a publishing partner. Time for classes to start which means articles about high textbook prices. This time from The Times Higher Education which quotes an unlikely American Enterprise Institute study on the price of textbooks. The article purports to suggest that digital textbook use is increasing because of high pricing but also notes that students prefer print overwhelmingly. For one thing, staff and students have been surprisingly reluctant to abandon print. Nearly 80 per cent of students surveyed by the National Association of College Stores say they prefer print to e-books, and academics assign digital texts in only 14 per cent of courses. In focus groups conducted by the Center for Studies in Higher Education at the University of California, Berkeley, faculty said they were concerned about whether the authors of OER textbooks were adequately paid, whether the quality was sufficient and whether the content was objective. OER textbooks do remain limited in scope and number. OpenStax, supported by grants from sources including the Bill and Melinda Gates Foundation, provides titles for just five introductory courses. Nevertheless, OpenStax estimates that it will save 40,000 students a collective $3.7 million this year, or an average of $92.50 per student. A better article about the digital transformation in education publishing comes from Education Week which profiles the approaches taken by the big three K-12 education publishers. Mary Jane Tappen, the deputy chancellor for curriculum, instruction, and student services for the Florida Department of Education, says that as districts in her state transition to digital curricula, schools want to pull the very best content from multiple sources—some they might buy, the rest might be free. "We're moving away from one book per content area per grade per student," she says. With digital capabilities already in development, Florida will be able to track what pieces of content are the most successful with students. Tools providing a rating for pieces of digital content will be visible on each teacher's desktop, allowing the teacher to sort the material by standard and the best rating. Tammy McGraw, the director of educational technology for the Virginia Department of Education, says one way for big textbook publishers to figure out what K-12 educators want and need is to work more closely with teachers and administrators. Several years ago, as iPads were just starting to be used in schools, McGraw says, she approached the major publishers and asked them to think about how to deliver textbooks through a browser. Some publishers ended up partnering with the Virginia department to convert their print textbooks to apps, and both educators and publishers learned a lot about what students liked and didn't, says McGraw, and about the difficulties in digitizing print textbooks. Students, for example, didn't like to use the browser on the iPad—they wanted the textbook to be accessible using an app. Students liked the interactive media and the electronic note-taking and highlighting features, and they loved to quiz themselves and do assessments on the fly. Many of those features ultimately became integrated into the products offered by the publishers, according to Tammy McGraw.